3SC puts the service user at the centre of everything we do within a culture of ‘getting it right first time’ and customer service excellence. Robust self-assessment and continuous quality improvement sit at the heart of business activities, alongside business planning, business development and budgeting. 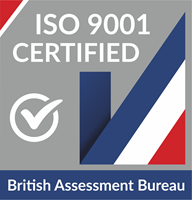 As a responsive and flexible business, 3SC ensures that the excellence framework is based on a range of quality standards including HMIP, DWP Self-Assessment tool (SAT), Merlin principles, ISO9001, ISO27001 and ISO14001 and Disability Confident. All quality standards we attain and work towards are of the highest regard within the third sector and across wider industries. The standards we work to reflect our vision and values and those of our service users, stakeholders and commissioners. Colleagues and supply chain partners are supported to carry out regular assurance activity to ensure that risks are identified, assessed, and where appropriate, mitigated; quality standards are being met, and effective continuous improvement is taking place. 3SC will review its approach to quality in line with any major developments within the organisation, such as contract rewards or major diversification of services. Its success will be measured through external audit, inspection and accreditation; the award of new contracts: reduction in complaints, increased stakeholder satisfaction year on year and by demonstrating positive social impact. This is the International Organisation for Standardization, the internationally recognised standard for the quality management of businesses. This is the Specification for Information Security Management which involves the creation of an Information Security Management System. This is the accreditation for environmental sustainability. 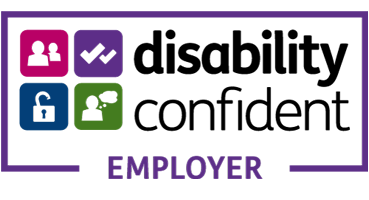 This is a scheme that is designed to help businesses recruit and retain disabled people and people with health conditions for their skills and talent. 3SC recognises the value serving personnel, reservists, veterans and military families bring to our business and will seek to uphold the principles of the Armed Forces Covenant. Social Firms Wales is the National Support Agency for Social Firm development across Wales. As a member of SFW, 3SC is committed to the creation of employment opportunities for disadvantaged people through the development and support of Social Firms in Wales.